Many organizations are facing a perfect storm of aging technology and growing collaboration needs. Decision-makers are under pressure to find a solution that's secure, reliable, scalable and cost-effective. The solution lies in strategically breaking down the collaboration blockers that keep your teams from working seamlessly together. 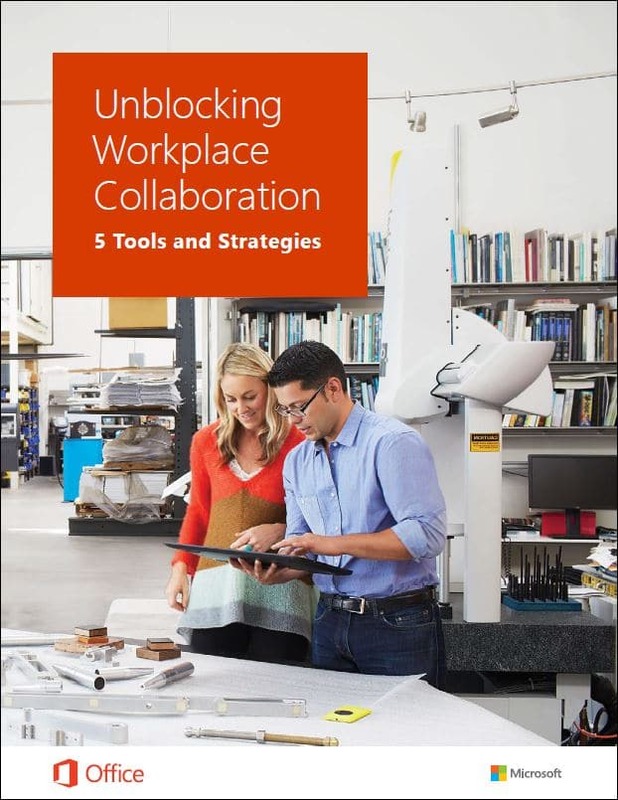 Organizations are turning to collaboration suites that allow employees to communicate and share through a single platform. Office 365 provides the most extensive collaboration tools available, on the same platform as the Office apps your teams already use. Provide your basic information to download this free white paper from Microsoft! Enable your employees to work where and how they prefer with applications that are connected and always available. More than just your favorite Office applications in the cloud, Office 365 adds collaboration tools that let your teams centralize their documents, work from the most current files, and plan projects across shared timelines and tasks. Regardless of location, everyone can collaborate and work from the same place with Office 365.